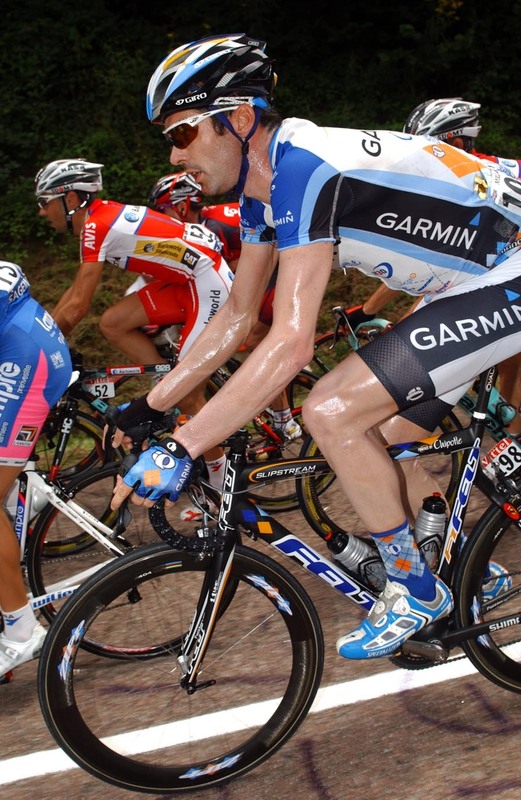 DAVID Millar became the first man to hold the senior road race and circuit time trial titles in the same year when he convincingly won the 28.4-mile British Time Trial Championships at Holmes Chapel, Cheshire, on Sunday. Millar covered the three-lap course in 56min 57sec to win by 1-32 from Chris Newton (Recycling.co.uk), while Michael Hutchinson (In Gear-Quickvit RT) completed the podium with 1-00-10. Last man off Jason MacIntyre (The Edge RT) failed to finish the event after mechanical trouble at around 18 miles, while perhaps the surprise package of the senior event was Agisokviner.com rider Tom Burke, who clocked 1-01-04 for an impressive fourth spot. 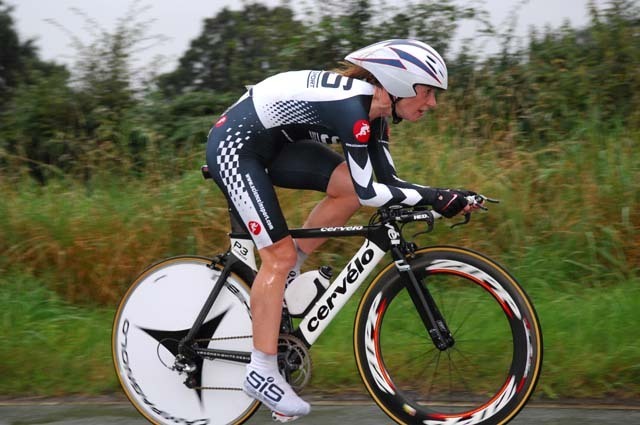 Wendy Houvenaghel (Science in Sport.com) proved she is enjoying the form of her life when she won the women?s two-lap, 18-mile event in 40min 40sec, 58 seconds faster than Caroline Kloiber (Shiro Forno Daslo), while team-mate Rebecca Romero was third with 42-06. In the various masters categories the fastest man was Category D winner Charles McCulloch (Arctic-Shorter Rochford RT) with 37-58, while National 100 champion Richard Prebble (Pinarello RT) topped Category C with 38-52 and reigning British Best All-Rounder Kevin Dawson (also Pinarello RT) was best in Category B with 39-00. Leading espoir was Matt Brammeier (Profel) with 38-26, while best junior was Erick Rowsell (Team Corridori), whose 39-09 was five seconds quicker than Peter Kennaugh (Pinarello RT). See this week?s Cycling Weekly for a full report. Women.- Wendy Houvenaghel (Science in Sport.com) 40-40. Espoirs.- Matt Brammeier (Profel) 38-26. Juniors.- Erick Rowsell (Team Corridori) 39-09. Masters A.- Phill Sykes (A3CRG) 39-47. Masters B.- Kevin Dawson (Pinarello RT) 39-00. Masters C.- Richard Prebble (Pinarello RT) 38-52. Masters D.- Charles McCulloch (Arctic Shorter Rochford) 37-58. Masters E.- David Pollard (In Gear Quickvit RT) 40-45. Masters F.- Ray Robinson (Velocity-Exercise Deck) 41-23. Masters G.- Roger Iddles (Stourbridge CC) 41-16. Masters H.- Mick Ives (MI Racing) 44-31. Masters I.- John Woodburn (Maidenhead & Dist CC) 44-01. Disabled.- Rachel Morris (UK HCA) 36-29 (adjusted).